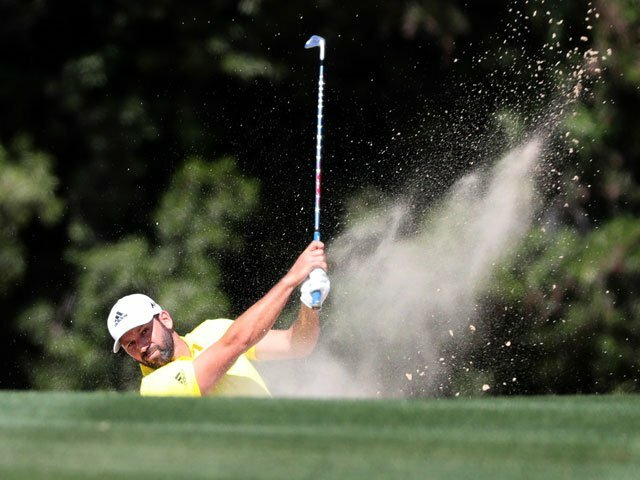 Sergio Garcia fired a superb eight-under-par opening-round 64 in the EPGA Nedbank Golf Challenge Thursday to take a four-shot lead at Sun City with star attraction Rory McIlroy eight behind. "This sort of round does not happen very often, I was very fortunate," said the 38-year-old Spanish winner of the 2017 Masters after his bogey-free round. "This kind of round does not happen very often but I played very consistently and kept the ball in play," said Garcia. "This tricky wind moved all over the place and on one hole you could have three or four different winds. "You have to just trust your shot and sometimes it goes wrong, but I was fortunate to get it right a lot of the time -- to be bogey-free was really nice. "I drove the ball nicely, hit a lot of fairways and greens, but it just does not happen on this course that you are going to hit the ball to two feet every time. "I made three or four very good putts, those little bonuses that you do not expect to make. But I gave myself lots of chances, so then this leads to more birdies." Garcia's error-free round was in stark contrast to that of world number six McIlroy, whose level-par 72 was characterised by some wayward driving. "I actually played pretty nicely on the front nine but it was a bad, bad finish. The driver let me down a couple of times which left me out of position and led to a couple of big numbers. "If I can tidy that up tomorrow I should be alright, but obviously I'm pretty disappointed right now," said McIlroy. "Everything's good, the game is on the money and it is about as good as I have ever played," he said after his 68. "So I feel confident, but transferring that to playing well is a different thing. It's been a very difficult year, so it is nice to play at home -- that builds confidence and I'll probably see some results soon. "It was very difficult this morning, the wind was blowing a lot and the first few holes were straight into it. "Making a good start is key on this course and I only made one bogey, on eight, when the wind turned, I actually hit a good shot but it was way short."